The Dota Pro Circuit faces another round of controversy as news broke over the past few days that two players, former Complexity carry Rolen Andrei Gabriel "Skemberlu" Ong and current TNC core Carlo “Kuku” Palad, will be banned from participating in the Chongqing Major, the second of five Major tournaments to be held during the 2018-19 season. Multiple sources confirm these bans result from pressure brought by local Chinese government authorities after the two players in question used anti-Chinese racial slurs during Dota 2 matches, the former during the DreamLeague Season 10 Minor and the latter in public matches shortly afterward. Apart from a blanket statement condemning racism and correspondence with retired carry player and Chinese Dota 2 icon Xu “BurNIng” Zhilei, developer Valve has yet to make any public statement on these players’ situation. This sets an extremely dangerous precedent. Under current season’s rules, only five Major events hold roughly 97% of qualifying points that will determine twelve of the eighteen teams that will participate in The International 2019. Assuming TI9’s prize pool equals last year’s total of just over $25 million, that one tournament will constitute approximately 80% of total prize money awarded at Valve-sponsored events, and at least 2/3 of total prize money awarded in professional Dota 2 over the course of the season. The exclusion of even one player from any one of these events has a tremendous impact on a team’s chances to earn a place at TI9, and hence on the individual players’ livelihoods. Teams can and will make roster changes based on eligibility for Majors (and in this case, possibly for TI itself). We are, quite literally, talking about young peoples’ futures here. South American team Thunder Predator were disqualified from The International 2018 Regional Qualifiers for carry player Juan “Atun” Ochoa’s use of a macro that automated actions on heroes including Meepo and Huskar. This disqualification occurred just prior to the winner’s bracket final, i.e., with only three series left to be played, after the script use was pointed out in several prominent threads over a period of several days on the Dota 2 subreddit. It was subsequently revealed that Atun had used these scripts since before his appearance at the Frankfurt Major in 2015. Multiple sources confirmed to me that a number of players, including current and former teammates of Atun’s who had faced Thunder in the qualifiers, had been aware of his use of these scripts since well before the event began. North American team VGJ.Storm were penalized during The International 2018’s Main Event for their use of two coaches, Ilya "Illidan" Pivcaev and Aaron "Clairvoyance" Kim, who advised the team during drafts during the tournament’s group phase, which teams played from hotel rooms. VGJ.Storm had attempted to confirm the rules surrounding coaches with a “PGL employee”, who (as they confirmed to me) at the time they understood to be the head tournament admin (he was dismissed before the issue became public). Valve’s statement indicated that teams had been “clearly instructed” that teams were only allowed one coach. As a result, VGJ.Storm were denied the use of a coach and assessed a draft time penalty during their opening series at the TI8 Main Event, which they lost to eventual champions OG. European team Ninjas In Pyjamas were forced to use a stand-in at the Kuala Lumpur Major, the first Major of the 2018-19 season after Israeli offlane player Neta “33” Shapira was unable to secure a visa due to diplomatic tensions between Israel and host country Malaysia. Though situation was made public only days before the event, team captain and TI5 Champion Peter “ppd” Dager stated publicly that the organization had attempted to contact Valve for weeks, starting shortly after the Major’s location was announced. Dager concluded his public statement with “Hopefully by stating something publicly someone [at Valve] might see it and give us an answer.” The situation was complicated new rules for the 2018-19 DPC season under which teams using a stand-in would suffer a 40% penalty in points earned toward TI9 qualification. Four days later, and again after multiple prominent threads on the Dota 2 subreddit, Dager (not Valve) announced that the team had been granted an exemption and would not be penalized for their use of a stand-in at the event. The Dota 2 Professional Circuit faces a crisis in leadership. These three events provide important context, not because of the decisions made, but because of the way the incidents were handled. 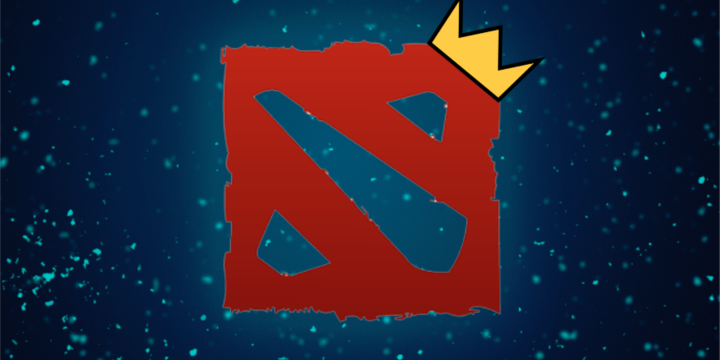 In all three cases, the situations were discussed and debated at length by the Dota 2 community. The overwhelming majority seemed to agree with Valve’s decisions. The problem here is that, in each case, the response from Valve was reactionary and determined seemingly on an ad hoc basis. To my knowledge, there is not and never has been a complete set of written rules for the DPC, nor for The International itself. The official DPC website has a FAQ with answers to 13 questions surrounding DPC rules. As of this writing, eleven of these questions are labeled with either “new” or “updated”. These are not rules, at least not if one takes them at face value. They are an evolving set of guidelines, very much subject to change. My point in writing this is not to repudiate Valve. As a developer, Valve prides itself on listening to its community and in taking care of its professional players. In fact, in my view, this pride is justified. In all three cases outlined above, a majority of the player base, both pro and pub, walked away happy, and the discussion essentially ended. My point here, however, is that in a high-stakes competitive environment, the lack of rules and/or clear communication from a centralized authority both actively makes many existing problems worse and creates new ones. For the record, I believe that Skem and Kuku should be given a chance to compete at the Chongqing Major. But unless the DPC rules are clarified, I also believe that this and similar issues will continue to plague future events. Timing. In sensitive situations like these, the timing of communication and decision making can turn a small issue into a large one. In issue #1 above, it became clear in hindsight that many people knew about Atun’s macro use from long before the team was punished. Removing a team from the qualifier late in the playoffs potentially completely changes the result—consider, for example, that teams were eliminated by Thunder. In the present case, the circumstances which led to Skem and Kuku’s presumptive bans were greatly exacerbated by Valve’s silence on the issue in the days following the incidents. Clarity and Public Image. It is particularly disturbing, in issue #3 above, that ppd’s Tweet specifically stated the team had initially gotten no response contacting Valve privately, and therefore felt the need to publicize the issue via social media. The same thing happened here: Complexity’s Beef stated in a Tweet that the organization had reached out to Valve for guidance after the initial incident with Skem and had yet to receive a response. This is a terrible look for all of us. It is also particularly dangerous in the current age of social media. When issues like these are brought to light, the resulting drama is inevitably perpetuated by a lot of people who do not have or understand all the relevant facts. Tournament organizers and even Valve itself are forced to not only address the underlying issues, but also clean up the subsequent social media mess—and the two activities are often not cleanly separable. This is particularly bad in cases like this one where sensitive issues such as racism or discrimination are involved. Even worse, these chains of events can actively incentivize drama mongers, particularly when responses seem to follow social media firestorms. For better or worse (usually the latter), people on the internet like attention. Appearance of Objectivity. When stakes are high, it’s not enough for a centralized authority to be objective. They must actively cultivate the appearance of objectivity to maintain the trust of all parties, including fans. After the Thunder incident, many in the community asked whether the situation would have been handled in the same way had it involved a more prominent organization such as Evil Geniuses or LGD (for the record, I believe it would have). After issue #3, many wondered how much of a role ppd’s prominence in the community played in NiP being granted their exemption to the stand-in rules. In this case, will (and/or should) TNC be granted a similar exemption if they are forced to play the Chongqing Major without Kuku? Again, particularly because of the sensitivity of the issues involved, optics matter, and whether intended or not, decisions set precedent. In this case, the latter issue is critical: The International 2019 will be held in Shanghai. Chain of Command. Highly competitive environments often feature many parties, from players, teams, sponsoring organizations, tournament organizers, broadcasters and talent, venues, local countries and cities, and more. Each party brings its own set of incentives to the table. Well-constructed and clearly articulated rules help prevent both miscommunication and conflicts of interest. Issue #2 above was glaring to me largely because it was entirely preventable. In any competitive environment you expect that referees/admins are there to interpret the rules, and even then are going to make mistakes. One combats this by making said rules as clear and possible, and training staff to enforce them. Had either of these been done adequately, VGJ.Storm would have at worst been penalized during the group stage, and at best been simply informed of the rules and asked to pick only one coach before or during their first draft. In the current case, tournament organizers StarLadder and ImbaTV were put in a terrible position. They are under tremendous pressure from local government authorities to exclude two players with nothing to fall back on. With a complete set of written rules, together with a contract with Valve to abide by same, they can credibly say “this isn’t up to us”. The issue becomes something that has to be taken up directly with Valve, a much larger company with ostensibly much better negotiating leverage, and it’s at least possible it gets dropped entirely. Many people think of rules as existing primarily to resolve problems. In fact, good rules are often proactive: They serve to keep issues manageable, or even to prevent them entirely. For example, codes of conduct for professional players, which have been adopted in numerous other esports, are not just there to list infractions and specify punishment. Rather, they serve to clarify acceptable conduct to an incredibly diverse set of people with numerous distinct cultural backgrounds. There are many issues facing the DPC moving forward. In my opinion, clearer and more regular communication from Valve would help with many of them. However, the first order issue right now is clear. BurNIng closes his final email to Valve regarding the current situation with, “We all want better pro scenes for DOTA2, maybe it’s time to have clear rules, right?” I don’t think it can be said any better. And I couldn’t agree more. 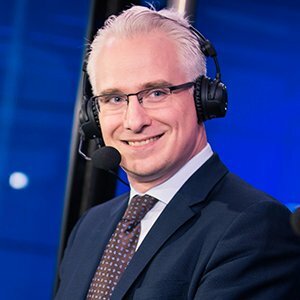 Looking for more content from Nahaz? Are HLTV’s rankings responsive enough?